Today I was cleaning off my craft table when I realized I hadn't used up all my Confetti Wishes assortment goodies. That was unacceptable, so I whipped up a quick birthday card. I hopped over to Retro Sketches, because they always have an adorable sketch. I filled in the sketch with Confetti Wishes paper left over from the scrapbook kit I'm releasing on Sunday the 15th. Then I added a sentiment and that blue border using leftover StickEase - yes, those are candle stickers. 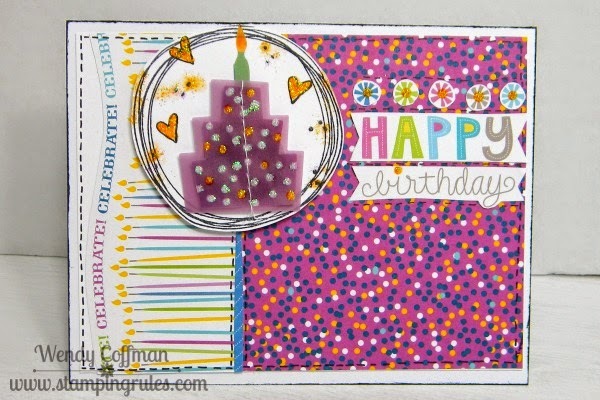 I drew in the stitch lines and mounted my card front to the card base..
That circle reminded me of my newest stamp set, Doodled Designs, which I had to get because I saw Sheryl using it and, well, cuteness! 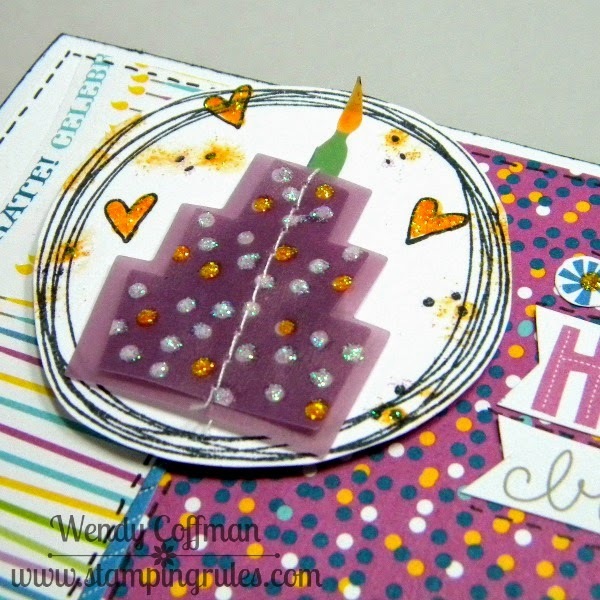 I added my leftover embellie, and added some sparkly Stickles to the stamped hearts and polka dots. So cute, so fast! I had a few more pieces of StickEase left, so I prettied up the inside of the card too. 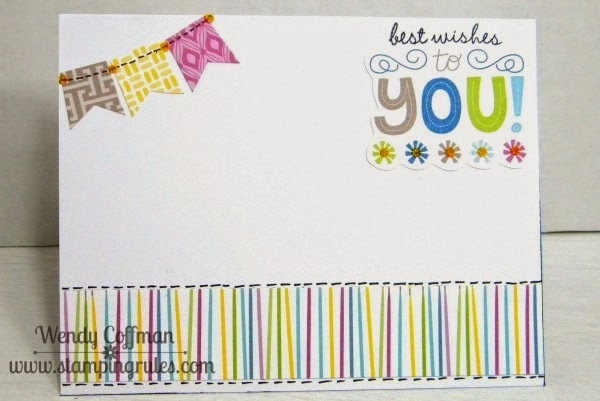 I added the "best wishes" stamp from Timely Tidings, one of those adorable little $3 stamp sets. I love getting to use up every last bit of my scrapbooking purchases!